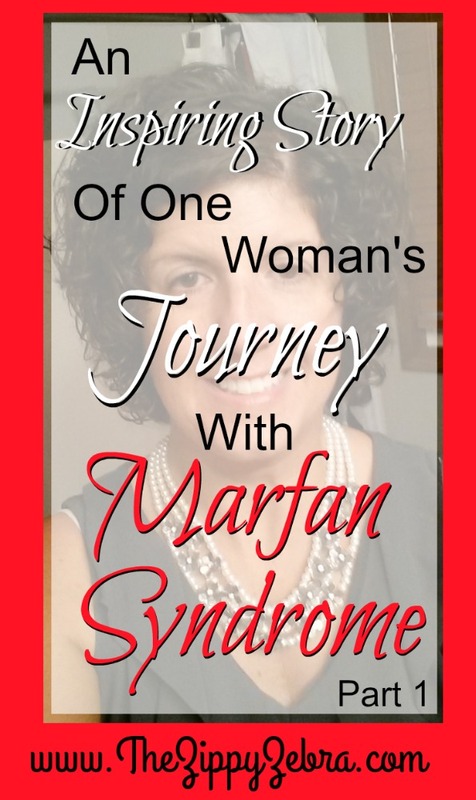 My name is Karen and I have Marfan Syndrome. I accept my disease and am actually grateful for it. 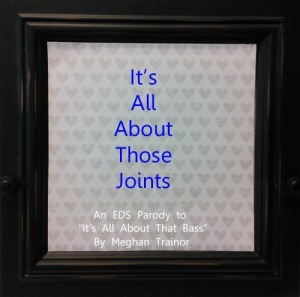 Having Marfan’s has helped make me who I am today………and if I must say so myself, I think I’m a pretty cool person. I inherited Marfan’s from my Father. It was once assumed that he had a spontaneous mutation, however, after investigating into his family history, we decided that it probably came from his Maternal side. His Mom had lots of family members that died of heart related issues and several of them were very tall and lanky. My Grandmother herself seemed to have some facial characteristics even though she was quite short. My father had 4 children and it was a classic case of 50/50. The first and third child did not inherit Marfan’s but the second and fourth did. Growing up with Marfan’s was not a big deal at all to me. I knew I had this thing called Marfan’s that my Dad and older Brother had but it really was more of an afterthought than anything else. I couldn’t participate in gym class at school and I had to sit very close to the chalkboard in class. I also had Scoliosis but no real issues with it. Other than that, I considered myself a regular kid. My hobby and passion was dance and I was always allowed to participate with the understanding that if I got tired then I had to rest. My Dad didn’t have too many troubles when he was younger either except for having cataracts removed and varicose veins stripped. He actually found out about Marfan’s from his eye doctor. He went in because he too was having a hard time seeing the chalkboard in school. The doctor looked at his eyes and suggested he go see a specialist because he suspected he had Marfan Syndrome. His Mom took him to a specialist where it was in fact confirmed that he did have Marfan Syndrome. The doctor told my Grandma that my Dad probably wouldn’t live to be 30 years old. Over 60 years ago there weren’t many doctors that had ever even heard of this disease before, let alone know details about it, so he wasn’t really given any restrictions. In fact, for several years my Dad thought Marfan’s was an eye disease. He smoked, drove race cars and motorcycles and had several jobs that were 100% physical labor. My Brother had some kind of leg surgery when he was younger but besides poor vision he didn’t have too many complications either. As a teenager he was told he had to stop lifting weights and he couldn’t play any contact sports but it wasn’t until his 20’s that he had more difficulty. He actually went to the hospital for a collapsed lung. They tried several times to re-inflate but it didn’t work. In the end they did surgery and he was O.K. While he was in the hospital, the surgeon asked my Dad where my Brother got Marfan’s from. My Dad told him that he had gotten it from him. When the doctor found out that my Dad didn’t have a regular Cardiologist, he insisted that he get one as soon as possible. My Mom and I got after my Dad and made him an appointment and thank goodness we did. We discovered that my Dad’s aorta was measuring at 6 millimeters! The next step for him was surgery. The Doctor that performed my Brother’s lung surgery was Chief of Surgery at the time and he would also be performing my Dad’s aorta repair surgery. The aorta was so large that it pulled the aortic valve out of place causing regurgitation, meaning he would need a new valve as well. This was by far the scariest thing to ever happen to our family. We suddenly were becoming more aware of what Marfan Syndrome could do. 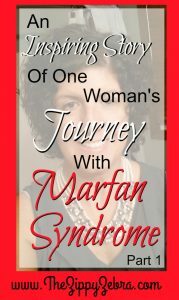 At that time, all the information we had on Marfan’s came from the National Marfan Foundation. We discovered that the life expectancy of a person with Marfan’s was 50 for a Female and 45 for a Male. We really thought we were going to lose my Dad. It was a very scary time for us. While my Dad was going through all the pre-op tests and paperwork, his surgeon was teaching a new technique in Guatemala, so my dad’s surgery got postponed. Finally on March 3, 1988 he had his surgery that saved his life. When the surgeon came out to speak with our family after the operation, he told us that my Dad’s aorta at time of surgery was bigger than 9 millimeters! He was within minutes from death. We asked how big the aorta could grow and the surgeon told us “There is no 9.” We were extremely relieved and felt very blessed. My Dad had an artificial St. Jude’s Valve installed, and from that day forward he has been on blood thinning medications. In the summers of 1988 and 1989 I got a little more acquainted with Marfan’s when I had my cataracts removed. I was very excited because I got teased a lot in school for my thick glasses and I just wanted to get contacts and to see well. The first surgery went smoothly and the vision in that eye improved greatly but the second eye had complications. The pressure in my eye shot sky high and there was problems bringing it back down. On top of that, the vision didn’t improve as well as the other eye. After a long road I was finally able to get contacts and my whole world changed. I remember the day I finally had both contacts. When we walked out of the Doctor’s office and I looked down at the pavement. I couldn’t believe my eyes. I could actually see each individual grain of the cement. Prior to this, I just thought it was plain grey cement. I didn’t realize that it was so beautiful with different grains and tones and even sparkle from the ground-up materials. It was so beautiful to me. On the ride home I was totally amazed that I could actually read the license plates on the cars stopped in front of us. (Not the state where they were from but the actual large numbers and letters.) Before, I could only see blurred characters. Once home, I just stared at the grass. It wasn’t just green Astro turf like I had originally believed. There were individual blades that had sides to it and entire lives of their own. Inside the house I noticed that our furniture actually had designs in the fabric. It wasn’t just a brown couch. It had depth and trim to make up the dimensions of the color brown. I spent all day looking around the home I grew up in and was just repeatedly amazed by how I could suddenly really see where I had been raised. The reality was so different from the illusion I had been living. I instantly began to wonder how normal people could not think that this was as amazing as I did. Why hadn’t anyone told me about the beautiful cement or the vibrant colors of the grass? I started to realize, however, that it was because “normal” people didn’t realize how blessed they were to be able to see all that God has to offer. It was all taken for granted each day as they drove to work, walked to school or played outside. They didn’t care about individual blades of grass or accent lines in the fabric of the sofa. All these things were normal and inconsequential to them. That instantly made me sad, and so I promised myself that I would NEVER take my sight for granted………or any of my senses for that matter. I decided to make a conscience effort to be mindful and appreciative of everything that God has made. I was not mad or sad that I had missed out on this beauty for 15 years. 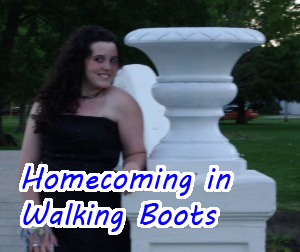 To read the rest of Karen and her family ‘s story check in again to our “Real Life Stories” on Thursday. 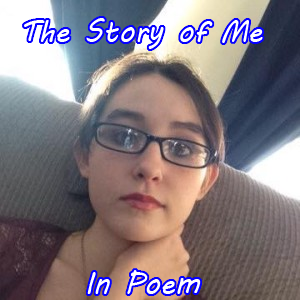 Please click this link http://thezippyzebra.com/?page_id=790 for more details on how to submit YOUR story. Want to discover more great stories?